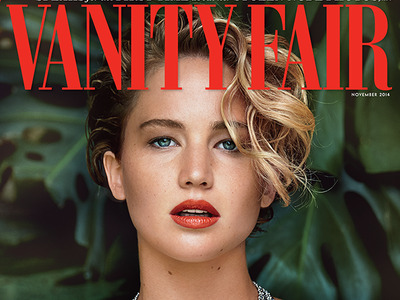 Vanity FairCondé Nast publishes Vanity Fair, The New Yorker, and a host of other well-known titles. Condé Nast has agreed to pay $US5.8 million to settle a class action lawsuit brought by thousands of interns who say the magazine giant illegally denied them minimum wage, Reuters reports. According to Reuters, the settlement covers about 7,500 interns who worked at publications like Vogue, Vanity Fair, and The New Yorker dating back to 2007. The interns will each get between $US700 and $US1,900. In a statement published by Fashionista, Condé Nast defended the quality of its internship program, which it shut down earlier this year. “While we continue to believe the internships that were offered at Condé Nast provided experiences that were among the best in the media business, we determined that settling the lawsuit is the right business decision for Condé Nast, as it allows us to focus our time and resources on developing meaningful, new opportunities to support future up-and-coming talent,” the company said. The New York federal court suit was filed in June of last year, on the heels of federal judge William Pauley’s ruling that a group of former Fox Searchlight interns should have instead been classified as employees and paid minimum wage. The Fox Searchlight case is currently being appealed. In the Condé Nast case, an intern at W Magazine and an intern at The New Yorker claimed their jobs did not meet the US Department of Labour’s six requirements for unpaid internships because their work allegedly benefitted Condé Nast and did not provide educational value. The W Magazine intern, Lauren Ballinger, told The New York Times her internship was similar to Anne Hathaway’s errand-running job in the movie “The Devil Wears Prada,” but that she was paid just $US12 a day in 2009 for delivering accessories to the magazine’s editors. The New Yorker intern, Matthew Leib, was paid $US300 and $US500 during the summers of 2009 and 2010. He did proofreading and editing for the magazine for eight hours a day, three days a week. Four months after the suit was filed, Condé Nast announced it would end its internship program, beginning in the fall of 2014.